As part of my discussion of creativity in non-fiction writing I’ve been putting together an interview series with a range of writers on a range of topics. Today it’s time to say hello to Kathleen Dixon Donnelly, an academic researcher, writer on writers and copyeditor, who has plenty to say about non-fiction writing and creativity. I find Kathleen’s comment on people’s assumption that if you’re a writer, you’re a fiction writer, very interesting: I think there’s a lot more going on for fiction writers, a lot more synergy, and a lot more willingness to invite them to do readings and discussion sessions. But as Kathleen says and I’ve come to realise, writing non-fiction is creative, too, and it certainly doesn’t mean that you put out boring books! Hello, Kathleen, and welcome to the interview series. First of all, tell me a bit about yourself and your books (a paragraph will do). My academic research for my Ph.D. in communications was about ‘writers who hung out together.’ This included four salons in the early 20th century: W B Yeats and the Irish Literary Renaissance, Virginia Woolf and the Bloomsbury Group, Gertrude Stein and the Americans in Paris, and Dorothy Parker and the Algonquin Round Table. Now I write and give presentations about them—their lives, their loves, their times, more than about their works—without most of the academic part. Having just started to wind down my full-time teaching career, I am working at home on projects, including copyediting and proofreading for others. Oops. Two paragraphs. How did you start writing, and which came first, fiction or non-fiction? I’ve always been a non-fiction writer. I like reading fiction, but for writing, I never felt I could make stuff up that had any credibility. The older I get, the more I realize how bizarre real life is, so who needs fiction?! Did you always want to write non-fiction? I have wanted to ‘be a writer’ since my mother taught me to sign my Christmas cards when I was three. God bless her. 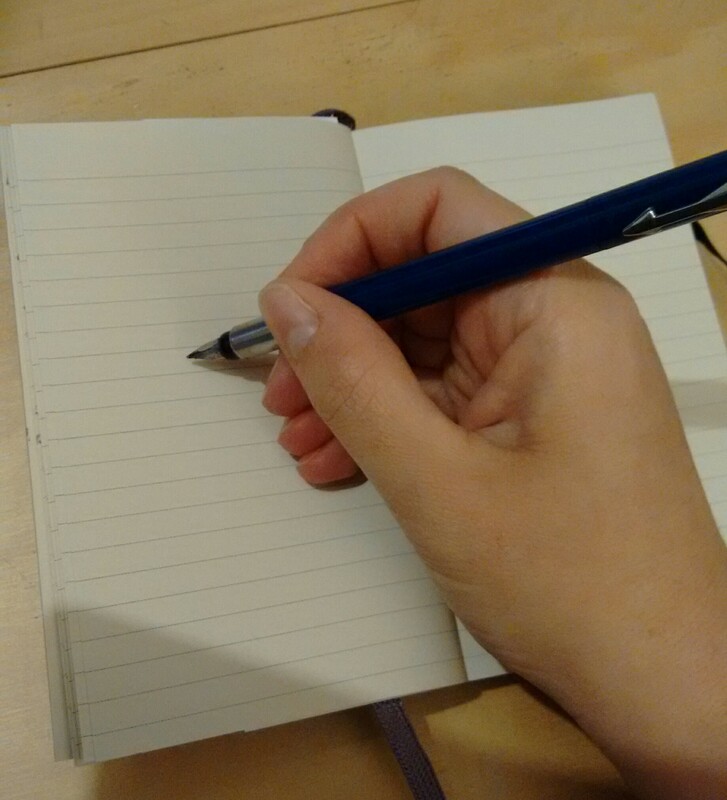 I recently blogged about finding that writing non-fiction was still “creative”. Do you agree, or is only fiction writing truly creative? I’ve heard it said that memoir should be considered as “creative non-fiction” – do you agree with that description? How do you think writing memoir differs from writing fiction on the one hand and non-fiction on the other? ‘Creative non-fiction’ is a better term than ‘life writing,’ and the CNF has campaigned to use this term consistently. Their motto is ‘You can’t make this stuff up.’ I’ve got the mug. And the t-shirt. I would include memoir, but also a whole lot of genres: biography, science writing, even technical writing is creative if well done. A broad definition of creativity is that it means bringing together two things that weren’t together before. If you use your own life in your fiction, is writing memoir different from doing that? I don’t do fiction. But, in addition to ‘my writers,’ I have done a lot of blogging about my travels under the name Gypsy Teacher. Have you got anything else you want to add about creativity and writing (with particular regard to non-fiction)? I have been very disappointed in the reactions of people here in the UK, particularly other writers, when I say I write non-fiction. They instantly think of technical writing or reporting or something boring. It appears that the default position is that, if you are a writer, you’re writing a novel. Thank you, Kathleen. Finally, tell us where we can find your books! They are all self-published, which, for me, is a disappointment. Self-publishing is a good way to go, but I still hope to have the recognition of a legitimate publisher wanting to take me on. My blog about the writers, ‘Such Friends,’ is updated monthly and also includes other pieces. I also tweet about them @SuchFriends. I have self-published a copy of my master’s thesis, Manager as Muse: A Case Study of Maxwell Perkins’ Work with F. Scott Fitzgerald, Ernest Hemingway and Thomas Wolfe at Lulu.com . Because a major motion picture about Perkins, starring Colin Firth and Jude Law as Wolfe, is currently in production, I have published a less academic version on CreateSpace in both print and Kindle formats (the official launch date isn’t until February, but you’re all welcome to take a look at it now). My Gypsy Teacher blog is no longer posted [thanks a lot, Blogger], but I have collected the posts into ‘blooks’ at Lulu and I tweet @gypsyteacher1. The most recent blog post, from May 2013, is still available. Reviving my freelance business, K. Donnelly Communications, I have started a new blog, where I have been blogging about writing and editing. Watch out for more interviews, either by subscribing to this blog (see the links in the top right if you’re viewing on a PC or on the drop-down menu if you’re reading on a phone or tablet) or clicking on the “non-fiction creativity” tag. ← Three lovely new book reviews! Thank you for the posting! Why did I write my books? Why did you write yours?